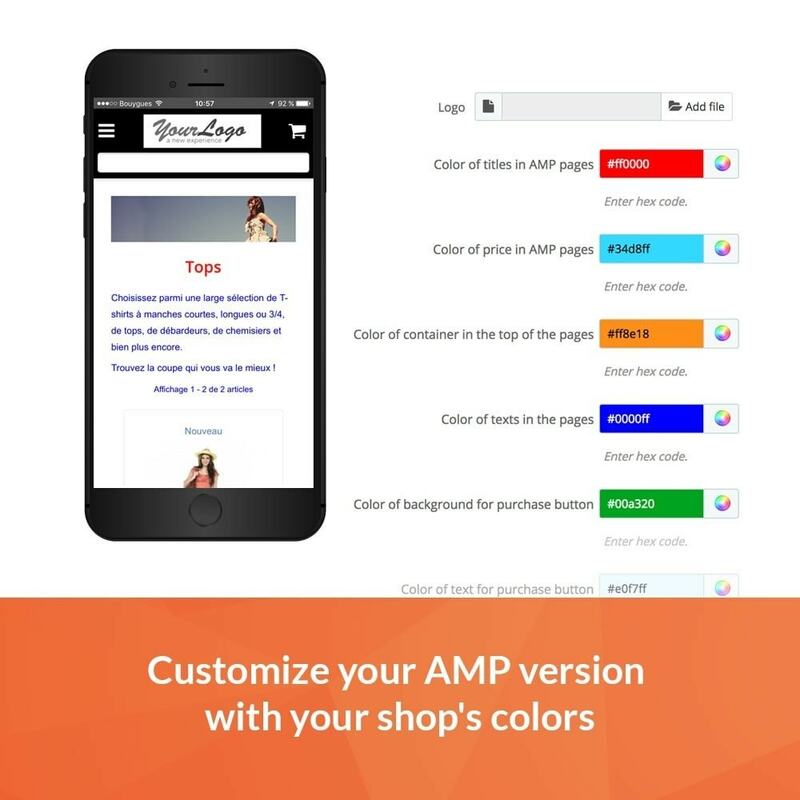 This module allows you to set up, in few minutes, a mobile version compatible with AMP norm of your Prestashop store and to customize it with colors of your shop. 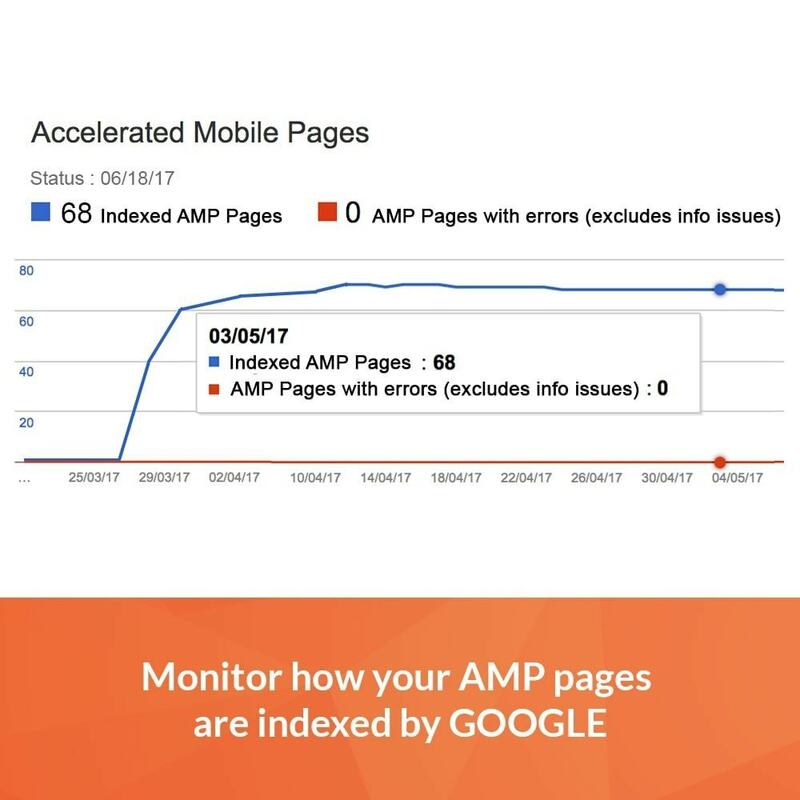 Google will automatically identify your AMP pages and they will appear in Google Search Console for tracking purposes. Then Google will decide the relevance to show AMP page instead of the classic responsive in his search results. 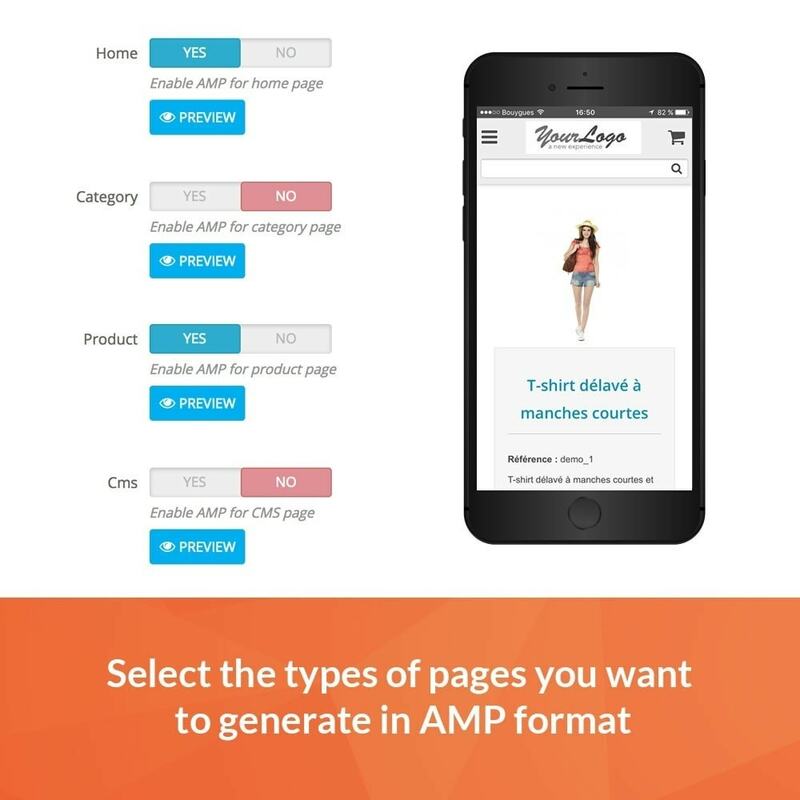 Please note this module is the one, and only one, being able to manage combinations displayed on Products pages in AMP format. 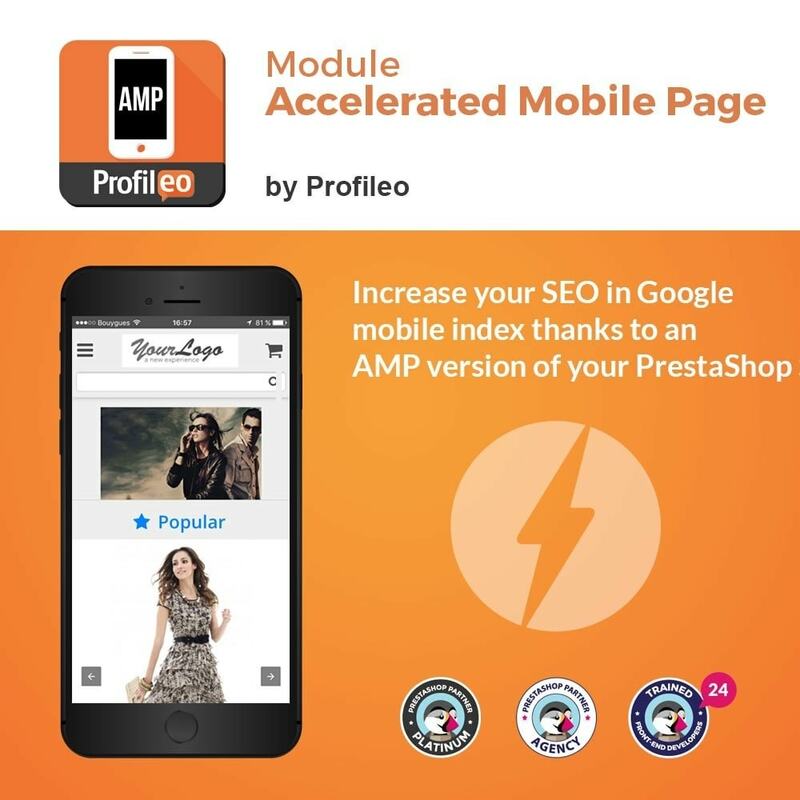 Thanks to this module, your customers coming from Google search results will get an AMP version of your shop, easily browsable and still can choose to go ahead with the classic responsive version.